After the launch of the first smartphone in its new ‘Connect’ series last month, the Lyf C549, Reliance Retail has launched the Lyf C451 smartphone. The 4G VoLTE-enabled smartphone will be available to buy Reliance Digital stores as well as the Jio online store, has been priced at Rs. 4,999 (best buy), and will be available only in a White colour variant. The smartphone is eligible for the Jio Dhan Dhana Dhan offer, and as well as the company’s ’20 Percent More Data Offer’. The dual-SIM (Micro+Micro) Lyf C451 smartphone runs Android 6.0.1 Marshmallow, and sports a 4.5-inch FWVGA (480×854 pixels) IPS LCD display with 2D Asahi Glass protection and pixel density of 218ppi. 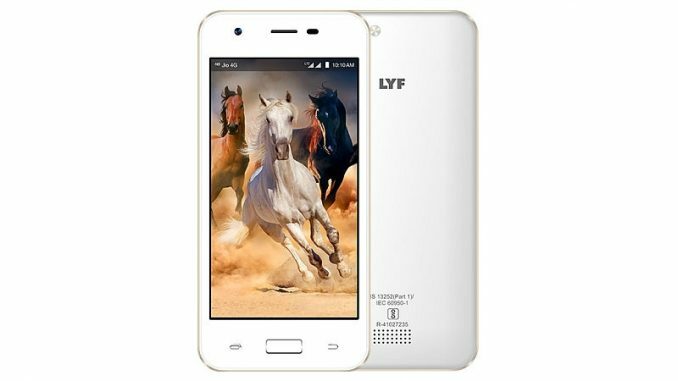 The Lyf C451 runs on a 1.3GHz quad-core Snapdragon 210 SoC that’s coupled with an Adreno 304 GPU and 1GB of RAM. It bears a 5-megapixel autofocus rear camera with LED flash, apart from a 2-megapixel front camera. It comes with 8GB of inbuilt storage that’s expandable via microSD card (up to 128GB). Connectivity options on the smartphone include 4G VoLTE, Wi-Fi 802.11 b/g/n, Bluetooth v4.1, GPS/ A-GPS, FM radio, 3.5mm audio jack, and Micro-USB with OTG support. Sensors on board include accelerometer, ambient light sensor, and a proximity sensor. The smartphone is powered by a 2800mAh battery that’s rated to deliver up to 12.5 hours of talk time, and 240 hours of standby time. It measures 139×66.5×9.8mm, and weighs 165 grams.